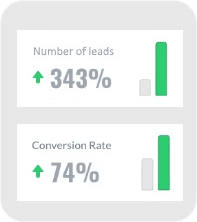 With our Google My Business optimisation services we help clients to radically improve their business potential by making them not only rank better in Google local results but consequently help to increase organic traffic, leads and sales. As a result, a perfectly optimized My Business profile, following Google’s best practice guidelines creates a highly visibly advertisement. At UPtimiser wedeliver killer local SEO strategies, so that our clients Google My Business listings come up at the top of local results. Local SEO is the process of optimizing business listings in order to promote products and/or services to local customers at the time they are looking for them. Due to the recent rise of smartphone usage and better connectivity while on the go local SEO has grown significantly in recent times. Although local SEO is somewhat related to organic SEO, it an own discipline and requires a dedicated optimisation strategy. 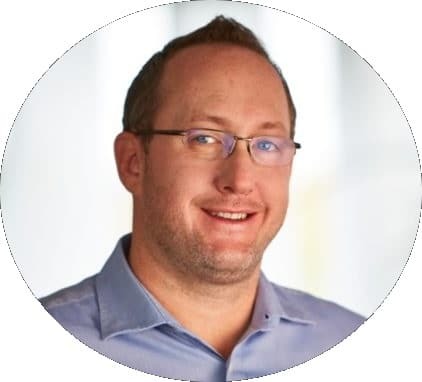 For Google and other search engines to serve the most relevant information from its vast amount of data, local results are becoming more important. Successful local SEO uses a variety of different actions – adding a business to relevant local directories, localized information on websites, online reviews from previous customers and mobile-friendly functionalities among other strategies. Google has recently indicated that one in three mobile queries are local and around 90% of people use local search when on the go. Furthermore Google stated that 95% of mobile users look up local information on their phones to either call or visit a local business. Our customized Google My Business & local SEO strategies leverage all optimisation components in order to increase local rankings, customers calls & and business visitors. Our approach to local is mobile first, desktop second to ensure that businesses are visible at the right time and place. Why invest in Google My Business? We set-up and manage our clients Google My Business accounts, from adding all account details such as business location, contact information, business opening hours, images and relevant keywords to reporting on user insights. In order to maximise Google My Business performance, it is crucial to make sure landing pages target relevant keywords and search queries as well as localized details and receiving a number of inbound links and citations from relevant directories and local websites. 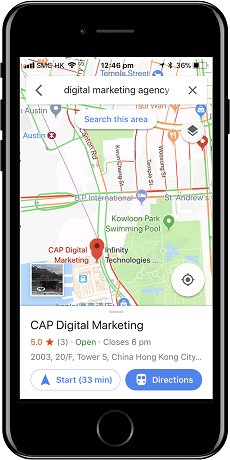 Everyday thousands of people are using Google Maps to find local businesses by SEO optimising your Google My Business profile you will be able to rank at the very top for these results. It’s probably one of the most important ways to get exposure and drive customers to your local store, it provides customers with the functionality to call businesses with one click, read reviews by previous customers and allows you to check opening hours. Furthermore developing an in-depth local SEO strategy will ultimately lead to more search result exposure. 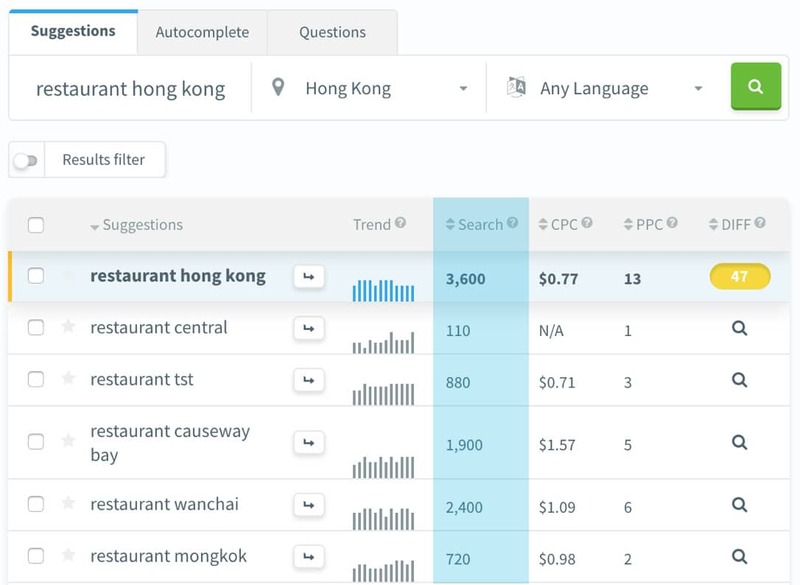 For keywords and search queries that are relevant such as “Digital Marketing Agency Hong Kong” or simply “Digital Agency” while the geolocation of users is set for Hong Kong only the most relevant local results will pop-up.